The speculation was first teased in a since-deleted Reddit post, amongst other places, before being shared around by news outlets and fans of the series online. 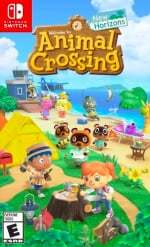 The post linked to an Animal Crossing video playlist on the Nintendo DE YouTube channel which contains multiple private videos and, upon seeing these, eager fans began to get a little over-excited, dreaming of an imminent reveal that would perhaps come in the form of a Nintendo Direct or similar. While we could never rule out the possibility of a surprise Nintendo Direct happening at any moment, including a reveal like this, the videos in question are not related and there are no signs of a reveal coming any time soon. The playlist in question hasn't been updated for several months, and punching the private videos' URLs into Google reveals that they are old listings that have since been removed - such as an old commercial for Animal Crossing: New Leaf and Tomodachi Life on 3DS. The last official update we had on the game revealed that it is still on track for a 2019 release; we're as desperate for more news on our favourite little critters as anyone, but it's still very much on the way and more news will come when it's ready. Hopefully that wait won't be too much longer! But isn't there some truth in this. We will get a full on reveal right around the corner at some point soon. The lengths that people will go to in order to get some likes or friends on social media is just getting boring!!!! w a i t .
This is what they WANT us to think. Smoke and mirrors. They leaked the fake leak so they could leak the proof it wasn’t a real leak to make sure the news of the real reveal didn’t leak. Long story short, Nintendo needs to hurry up with a Nintendo Direct. It's been several months since our last actual Nintendo Direct, and I don't care if we get a big game announcement or not. I just want to know what they got planned this year, and hope they are ready to launch some themes and a SNES Switch Online App. Animal Crossing is likely to be delayed as they're restarting development with EA at the helm. £0.99 per furniture item. Pre-order now for exclusive Tortimer Island DLC, a Mass Effect Gyroid & 2 x free Pitfalls. @sikthvash : The Sims 3 (and onward) in a nutshell. I was completely disgusted when I booted up The Sims 3 on PC for the first time and was greeted with a myriad of greyed out icons for content that required separate purchases from The Sims 3 Store. Good thing The Sims 1 and to a slightly lesser extent The Sims 2 were (mostly) spared of this nonsense. And to think that the original Sims had a heap of official DLC, all of which was completely free. During The Sims 2 era, EA started decreasing the content of their expansion packs and had started selling themed furniture sets separately as "Stuff Packs", and their greed has since known no bounds. @JamesR : I recall my disgust when there was a gumball machine DLC (a single item) released for the equivalent of US$5 in Sim Points... for a SINGLE item; so you're certainly not off the mark there. EA have been absolute pigs as far as The Sims is concerned. With DLC being all the rage these days, and Nintendo (ugh) embracing the practice, I would no longer put it past them not to pull that kind of crap. After all, they have released DLC packs that cost more than the base game (Cough Fire Emblem Echoes). This is no longer Iwata-san's Nintendo. I didn't put much time at all into new leaf, but I'm still gonna pick this up if it ever drops. @Silly_G you are not the only one nervous about animal crossing on the switch, after all we do have animal crossing on mobile. as for this article, this is terrible clickbait man, it's not even for the switch at all and the videos are old, why even put this on the site? @Silly_G So far, Nintendo has offered meaniful, albeit expensive DLC and have thankfully steared clear of micro-transcations outside of their mobile title range. In reality, I highly doubt they'll be extending this to titles like AC as it kind of defeats the entire point of playing. You want that snazzy Gorgeous range for your third bedroom? You better work for it! Never bothered with the Sims for this reason. I preffered Theme Park / Dungeon Keeper and other Bullfrog classics before they were sucked dry by the evil Publisher. There has been a lot of “fake” happenings lately... that’s usually a sign of a direct! @Spoony_Tech If they are on track, we may well get news soon(ish), though that doesn't mean this rumour is true. @Verg Love this gif. Thank you. Hahaha. @Verg One of my favorite movies and probably one of the best scenes in the movie. @huyi Maybe because lots of Nintendo forums have been buzzing about this rumor. This is the first thing I've seen refuting it, which makes it news in my book. It's not even clickbait, it clearly says in the title 'THIS IS NOT A SWITCH REVEAL'. If you clicked in thinking it was, I dunno what to say. @Silly_G @sikthvash I can't see Nintendo doing something like this with their mainline games at the moment, if Nintendo want to squeeze customers for cash they get a third party to develop a mobile version so they can wash their hands of it. On their own hardware however, Nintendo is still one of the few companies that doesn't remove content to sell it to you later. Compare SSBU to most other fighters.. SSBU has 74 unlockable characters built in, meanwhile some of the recent fighters from other companies start with 6 & don't even hit 30 after spending £40/50. @personauser0893 So Nintendo's parents were going through a divorce? Lol, sorry.. sounded like you were describing my school life there. I'm hoping that Animal Crossing will get released sometime in the summer months. I remember when New Leaf released, it was the summer and Nintendo held events across Canada to promote it. A bunch of us drove to the one in Montreal, Quebec and it was a lot of fun. Ended up exchanging Friend Codes with people I've never met in person again but continued to engage with over ACNL. I'd like something similar and summer would be perfect. Save Pokemon for the holidays, I hope AC Switch comes out for the summer! This is in no offense to anyone because I know AC has alot of fans but, I just don't get it. I've played a couple of Animal Crossing titles and just couldn't find the hook. However I feel like I could have been missing something. I've never really liked "Sim" games much. So is there more to AC than that and I'm just missing it? If anyone feels or used to feel the same way and are now a fan of AC could you please shed some light on the subject for me. I feel like I may be missing out. @Prof_Yoshtonics Honestly, you're probably not missing anything. Animal Crossing with its relaxed, non-goal-oriented structure is not your usual video game and, from my experience, people will either get totally sucked in or they just won't get it. It's definitely personal preference with AC. 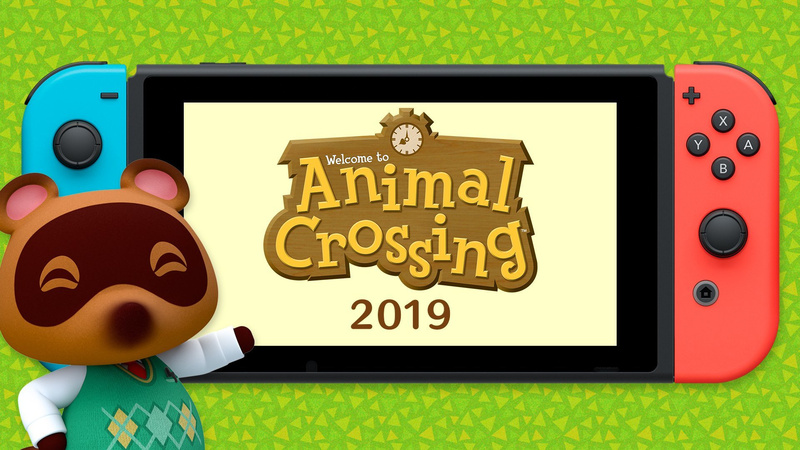 Animal Crossing is going to be the game of 2019 for me, and it's basically the whole reason I'm wishing for a Nintendo Direct. Soon, please...! I'm waiting for the Animal Crossings Special Edition Switch Mini leak. @DanteSolablood I like Nintendo's ethos & current stance on DLC; I'm prepared to pay for quality additional content as I know it has been created as an extra, yet the base game will be complete and feature full. Capcom are guilty for hiding stuff on the disk which is locked behind a paywall - thankfully Nintendo don't pull these kind of tricks & I don't think they'd ever do that.